About 19 species in North America and East Asia. Only one species in the FSU. Far East (northeastern regions, Kamchatka, Sakhalin, Primorskiy Region) and Japan (Hokaido, Honshu). On gravelly slopes, sandy soil. Rhizome short with numerous roots. Leaves all basal, long-petiolate, 3-ternate, almost pinnate, glaucous, grey green. Scapes thin, 4-18 flowered, extending above the foliage. Flowers large, 2.0-2.5 cm long, usually pink-violet. Outer petals basally saccate, reflexed at apex, two inner coherent, purple-tipped; spurs short, blunt. V - early spring (new growth, rosette leaves overwinter). Fl - June. Fr - July. P - by seed. A quite variable species, plants from different geographical regions differ in many characters, including colour of flowers. 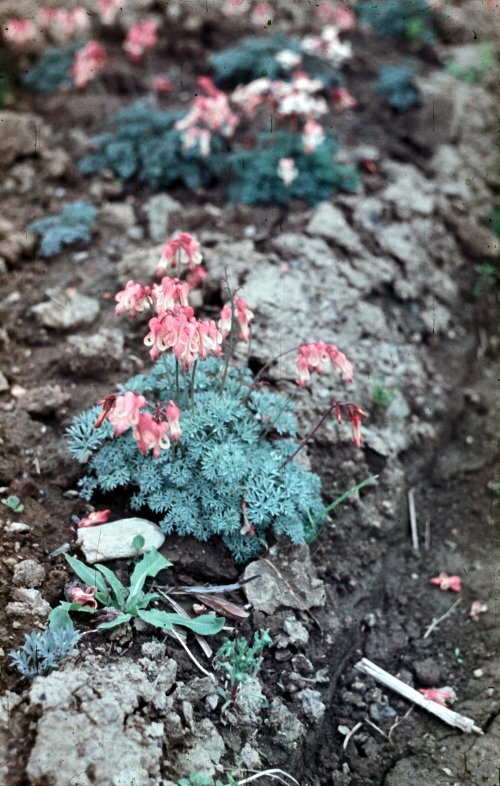 Plants from Kamchatka have red flowers, of the Kuril Islands (Kunashir) white flowers, and plants with pink flowers have been found in Sakhalin. A very attractive plant, not only for its flowers but also for the delicate foliage. The gem of the genus. Requires well-drained soil, and semishade. Z 5 (4).